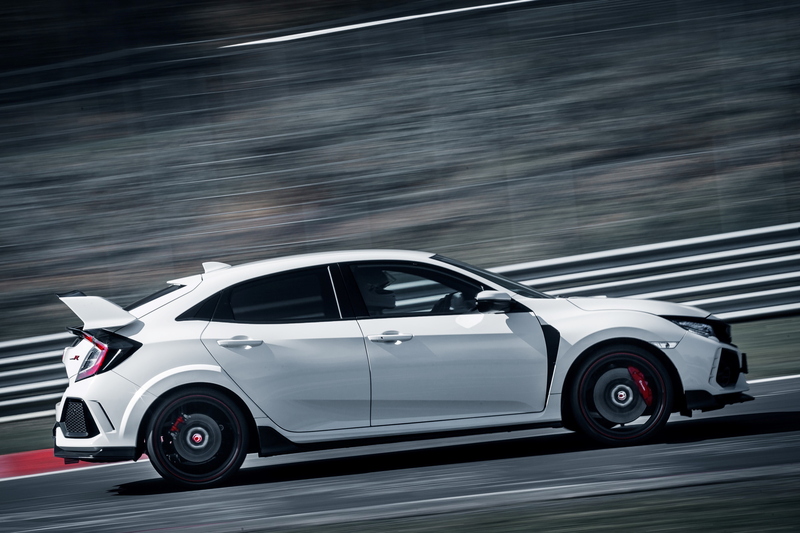 Keenly priced, is the new Honda Civic Type R the new hot hatch king? 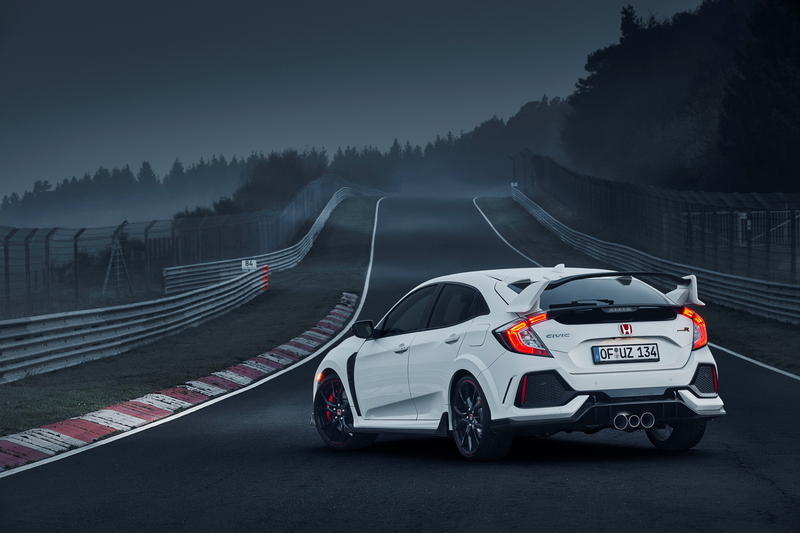 Pricing has been announced for the new Honda Civic Type R and there’s good news: it starts from just £30,995 for the entry-level version, rising to a still-hugely-competitive £32,995 for the GT spec car. Launched at this year’s Geneva Motor Show, the price structure announced today means that the 2018 Honda Civic Type R significantly undercuts two of its closest hot hatch rivals, namely the Volkswagen Golf R and the Ford Focus RS (which start at £31,885 and £32,265 respectively). Okay, we know what you’re thinking. “But isn’t the new Civic Type R only front-wheel drive?” Yes, compared to its German and American-badged rivals, Honda’s latest hot hatch still sends its power exclusively to the front. However (with the caveat that we haven’t driven the next-gen Type R just yet), this doesn’t make it any less of a rival for its four-wheel drive foes. 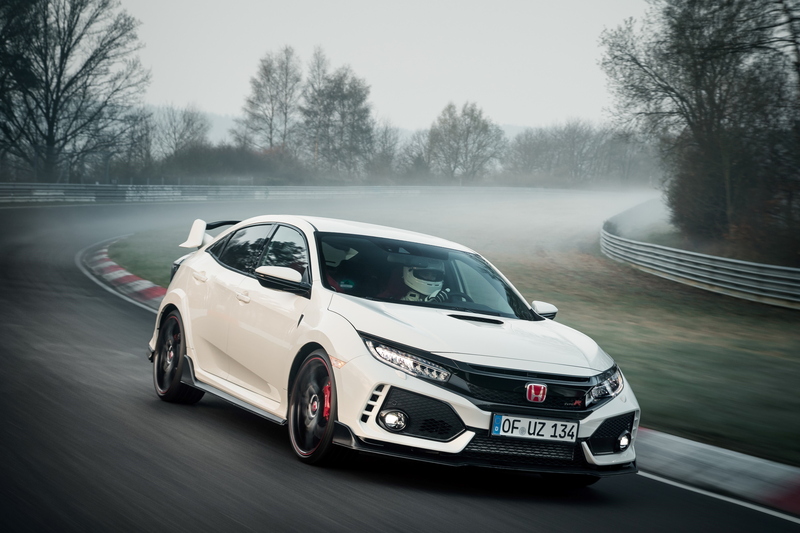 While the Golf R and Focus RS may enjoy enhanced capabilities in all conditions, Honda recently announced that its fifth-generation Type R is the new front-wheel drive benchmark around the infamous Nürburgring Nordschleife. 16kg lighter than its predecessor (and packing an improved 320hp from its 2.0-litre turbo motor), we’d wager that the Honda would run rings around its opposition on some suitably twisting tarmac. Its time of seven minutes 43.8 seconds helped the Japanese manufacturer to regain its ‘Green Hell’ lap record back from the VW Golf GTI Clubsport S and has given the latest Type R a legitimate claim to the ‘King of Hot Hatches’ title. Returning to the matter of cold, hard cash, the extra £2,000 needed to upgrade to the GT version adds a number of options to the standard spec sheet, including dual zone climate control, LED front fog lights, Honda CONNECT with Garmin Navigation and a high-powered audio system for when you don’t want to listen to the VTEC engine’s roar.